Survivor: Edge of Extinction premieres on Wednesday, Feb. 20 at 8/7c on CBS and CBS All Access. It's once again time for a group of relative strangers to try and outwit, outplay, and outlast one another in attempt to be crowned Sole Survivor and earn themselves a whopping $1 million payday. Survivor: Edge of Extinction features 18 castaways—four of whom are returnees—divided into two equal tribes, the Manu Tribe and the Kama Tribe. This season presents a new layer to the game with the introduction of the island known as Edge of Extinction, which is where a person's will is severely tested to see what one is able to endure in order to become Sole Survivor. Those who can withstand the emotionally and physically difficult challenge will be afforded a shot for one of them to get back in the game and continue their quest for the grand prize. 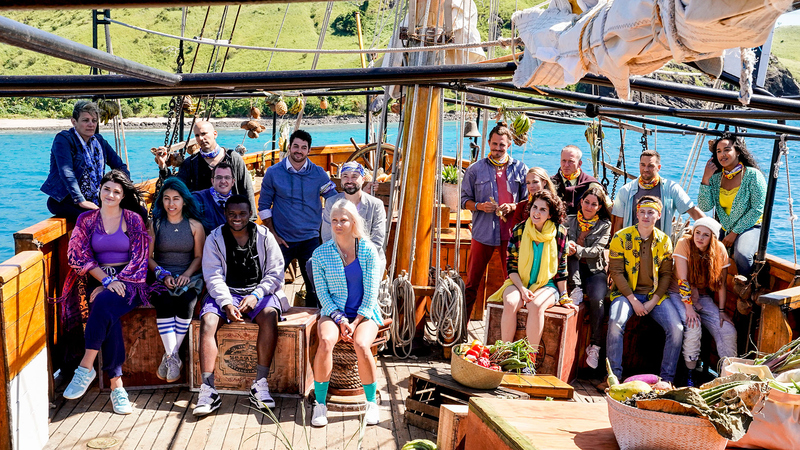 "Survivor continues to reinvent itself with new energy, and this season we've added a new secret game-changing twist," said Executive Producer and host Jeff Probst. "After being voted out, players will be faced with a decision to either go home or go to the Edge of Extinction where they will be pushed further than ever before for a chance to get back in the game." So who are the new and returning castaways on Edge of Extinction? Click to find out! Don't miss the season premiere of Survivor: Edge of Extinction on Wednesday. Feb. 20 at 8/7c on CBS and CBS All Access.